We offer private lessons for Lindy Hop, Charleston, Vernacular Jazz, Balboa, and Collegiate Shag. 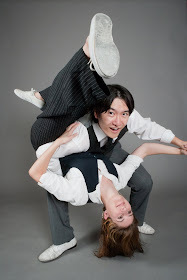 We are also available as swing choreographers, please contact us for pricing. Remember, you are always welcome to bring a camera to film for your own personal review!